Girl is NOT a 4 Letter Word: Chloe Kim - 19 Under 19. Chloe Kim - 19 Under 19. 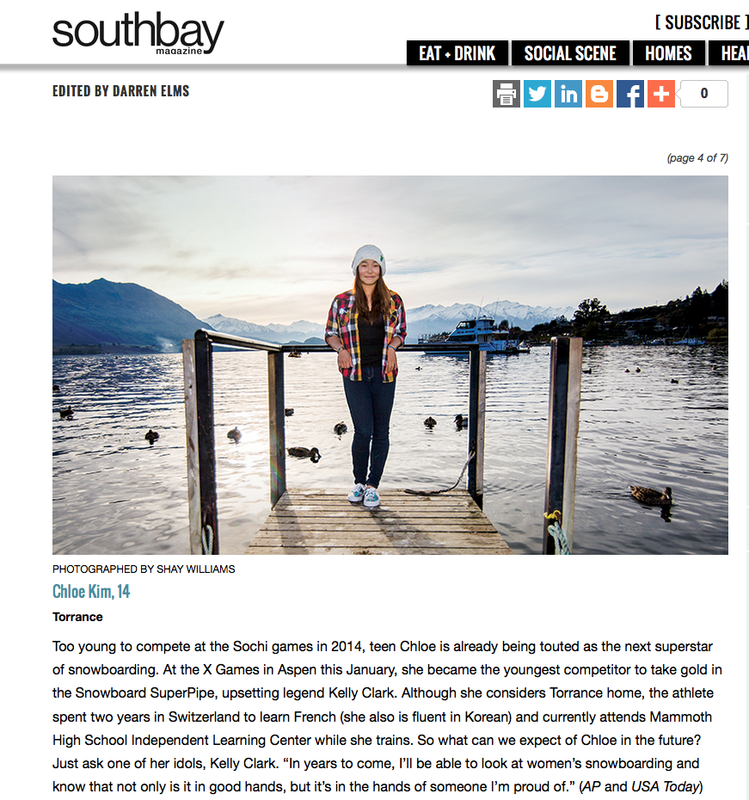 Great to see pro snowboarder Chloe Kim in South Bay Magazines article "19 under 19" that is in the April Issue. They profiled 19 kids from around the South bay that are doing amazing things with their lives and Chloe was featured for her stellar snowboarding career. Good choice! We love Chloe not only for her snowbaording skills, but also because she is just a fun and awesome person!